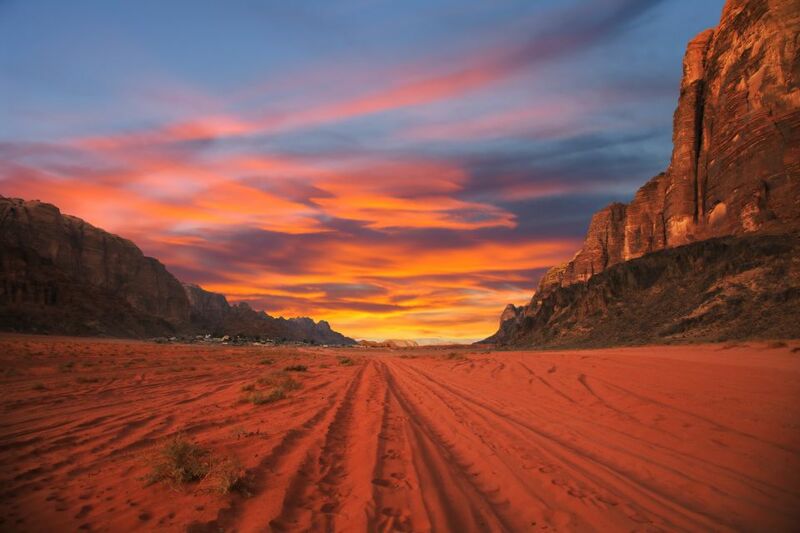 Wadi Rum, also known as the Valley of the Moon, is a desert valley that lives up to its name. A visit here is the closest many of us will get to a trip to space, but there's more to this valley than out-of-this-world landscapes. This protected area spans 720 square kilometers and is located about an hour and a half drive from the historic site of Petra, Jordan. Situated in a valley, the area experiences all the weather one might expect from a desert. Winter and summer are the low seasons: in winter temperatures cool off significantly, even dropping down to freezing at night, and in summer the temperatures climb up to over 40° C. Autumn and spring are considered the high seasons, with more bearable temperatures and predictable weather patterns. 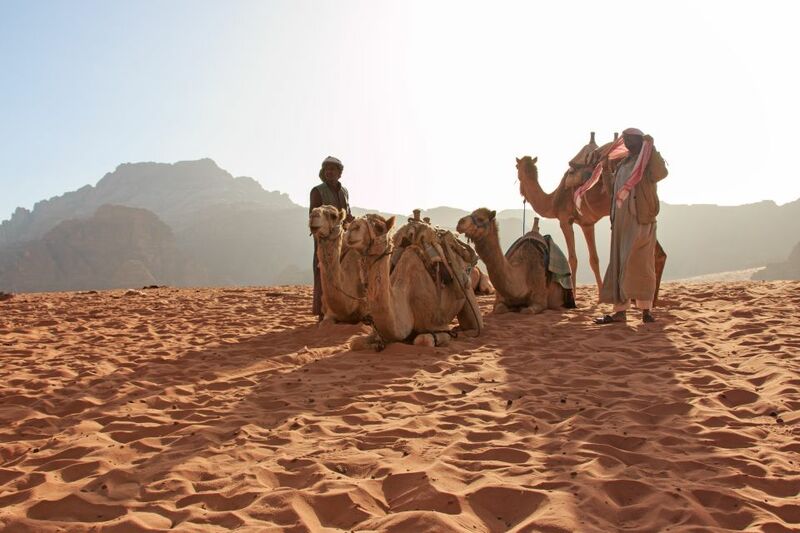 Wadi Rum has been inhabited since prehistoric times, and petroglyphs and other ancient structures can still be found here. Most of the area's current inhabitants are of Bedouin descent, and the main sources of income for the region are tourism and initiatives to preserve the desert. 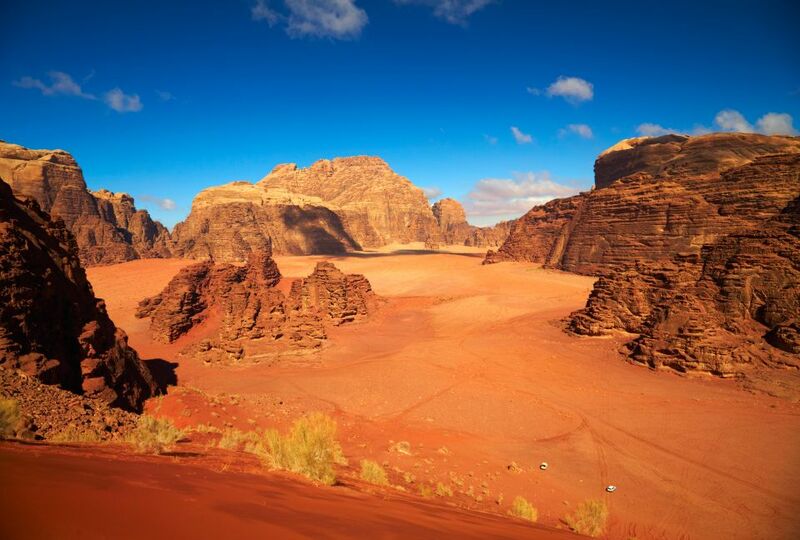 It should come as no surprise that Hollywood and popular culture have used Wadi Rum as a backdrop. Films such as The Martian, Red Planet, and Rogue One: a Star Wars Story use the desert as a stand-in for extraterrestrial landscapes. It's full of cliffs, mountains and rock formations, giving otherwordly texture to the desert's endless stretches of sand. But the truth of this valley is impossible to contain in a TV screen, and its dramatic sights are something to behold in person. 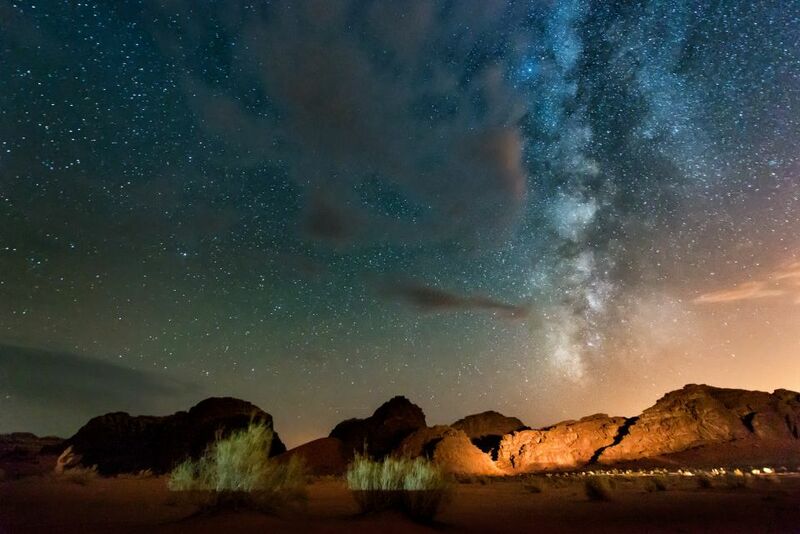 Over 130 animal species call Wadi Rum home, and the majority are nocturnal. Larger creatures such as the Nubian ibex might be difficult to spot, but visitors might get lucky if they keep their eyes peeled. Vegetation consists of mostly shrubs, hardy bushes and few trees. 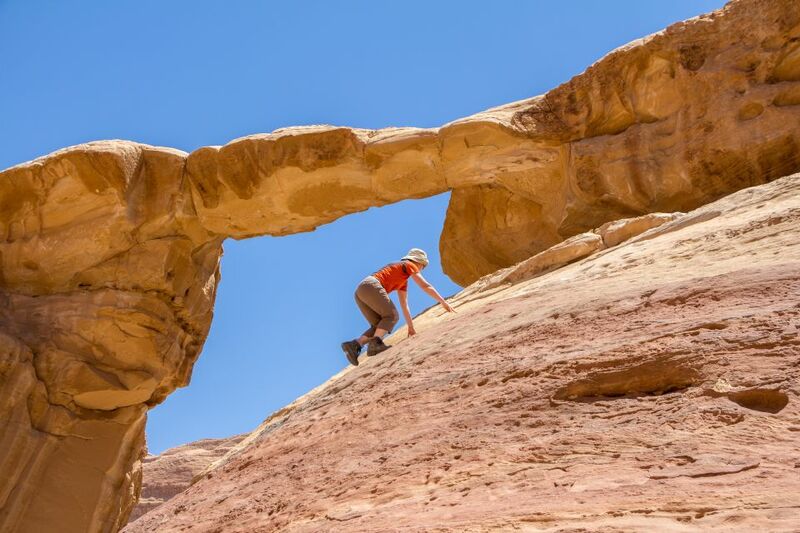 A plethora of outdoor activities are on offer in Wadi Rum like rock climbing, hiking and camping. Microlight trips, small, piloted arcrafts with only one or two seats, are popular as are hot air balloon rides. For those looking for even more adventure, skydiving offers what's probably the best view of Wadi Rum.